'My wife’s car died at her office in Mountain View so I had to pick her up. I put the dog outside noticed some coupons for a place she mentioned called Los Portales so I grabbed them too. I set the Adt home security alarm, spent 10 minutes wandering in a circle looking for my car before remembering I parked it on the street. My wife was glad I brought the coupons. It was late and Los Portales is a favorite among her co-workers. The coupons were for free dessert. The restaurant was cozy and crowded. The hostess knew my wife and we were seated right away. Walking in was like going to a friend’s house for dinner. There was a sulky teenager doing homework in an empty booth, there was a baby sleeping in a carriage by the kitchen and Sal the owner came out to shake our hands. I knew the food was going to be good. I could already tell by the smells as we sat down to eat some chips and salsa. My wife informed me we were splitting the house special; a chicken and steak fajita platter. It came out sizzling hot and when the waitress squeezed the lime over it I was practically drooling. Our plates came with rice, beans, salad, corn tortillas, salsa and guacamole. Every bite was heaven. Do you like rugs?They make a fabulous additions to any home! When it comes to decor values and deciding between a contemporary or traditional rug what do you prefer? You know I'm Turkish and I love rugs. When you choose the right one it coordinates with current furniture styles and colors very well. If you are lucky to have wooden floors in your home, floor rugs are perfect compliment. 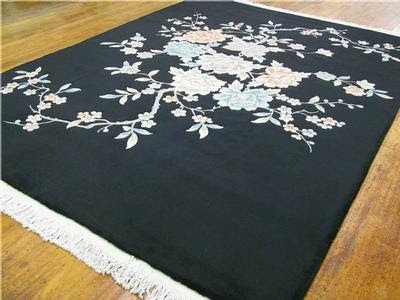 Rug making is an ancient art that is relaxing and fun. I tried to make a few knots once and really enjoyed it. Hand made rugs are expensive but totally worth the money. If you are looking for good prices and largest selection of one-of-a-kind rugs anywhere you can find discount area rugs online. I don't wanna be sick! -Oh, no! I don't wanna be sick!!! I give him Pedialyte when he suffered from diarrhea and/or vomiting. After he gets two single bottles he starts to feel better. Also Gatorade it works very well too. You probably know we used to have a dog for 14 years. When her stomach got upset I used to give her a small amount of unflavored padialyte and also ice cubes in her bowl. I also eat plain yogurt when I have the same problem lol. It's very good to settle an upset stomach too. What do you get an upset stomach go away? Is raw really always better??? I love searching and learning more about healthy eating/cooking tips. We know that a fruit and vegetables diet is a key to good health but depending how you're preparing them. You may not be getting the most out of them. I can eat them raw or cooked. But I didn't know that cooking tomatoes in fats, makes them more effective. They can dissolve in fats like olive oil that body absorbs more antioxidants. Slightly cooking veggies is not destroying vitamins and minerals. Actually making them more available and making nutrition easier for body to take in. I use it for every dinner. Helps lower blood pressure and full of antioxidants. But also slicing/mincing it actually maximizes the effect. Keys to healthy leaving are in our hands. Why shouldn't we use them to open a door to healthier life? Remember my Roasted Tomatoes Recipe? If you missed it or just started to read my site you can read it here. A big thank you to all the participants and Ocean Saline Nasal Care for sponsoring this giveaway! I'll be contacting you by email. Hubby has been more interested lately in my site after he noticed that I mention him on my blog posts more often than Aria :-) And another product for him to try was on my list this week. New Ocean Complete Sinus Irrigation! I don't have any sinus problem but he has! And my son sometimes complains of stuffy noise. Since his doctor recommended Ocean Nasal Spray for him, he has been using it when needed. Kids hates using eye drops, nasal sprays..He still doesn't like to use eye drop but he's OK with using nasal spray. When he had stuffy nose the thing he hate is to run out of Ocean Spray, not to use it. -Where is my Ocean Spray. (He makes up an Ocean Spray song and sings until I give him. You know he loves make up songs. He doesn't need my help anymore. He is doing it himself. And after drop twice, everything gets back to normal..end of the stuffy nose problem and... sweet dreams!!! Ocean Spray helps to breath easier. It's the best for all family. This salt blend formula works for allergies, cold/flu, sinusitis, nasal symptoms, dry, irritated nasal passages. It's unique two in one nasal irrigator and moisturizer. 'Dad 12 times I told you 'bless you'. Now I'll write a 'bless you' note and hang it on the wall instead':-) Kids!!! Anyway, I got the best solution for him! New Ocean Complete Sinus Irrigation also moisturizes and very easy to use. White tip for moisturizing, orange is for stream irrigation. You don't need to mix or clean up. He has been using it since yesterday and it worked very well. I'm so glad that he slept pretty good last night. *2 bottles Ocean Premium Saline Nasal Spray(3.5 Fl. Oz and 1.5 Fl Oz) He took one of them with him to work today. Just in case if he needs to use. *1 bottle Ocean for kids(1.25 oz.) which we tried this one for the first time. I didn't know they have a spray for kids. I used to buy regular bottle since doctor recommended. It's formulated gentle enough for infants. Plus it has child size applicator, contains extra moisturizer, safe for daily use. To enter this giveaway; Visit Ocean Sinus Irrigation website and leave a comment here what did you learn new about Ocean products. -Like Ocean Family of Products on Face Book. -Follow me anyway you want. The winner will be chosen randomly. Giveaway ends on May 28. 2010 at 10 pm(EST) Winner will have 48 hours to respond to notification with shipping info – if no response, another winner will be chosen. Giveaway is open for US residents only. Good Luck! I received Ocean Complete Sinus Irrigation and Ocean saline nasal care products for review purposes, my reviews are my opinion and I have not received any compensation for them. Hubby has been working long hours for a while. He doesn't have time to go shopping for his next eyeglasses. He is always a little nervous when it comes to decide on a frame. - I should have chosen the first one I tried Yonca. I don't know why I choose that black frame. -You didn't even want to give it another shot. Why did you change your mind now? -You know choosing a frame makes me a little nervous in the store. Even though I don't try it on I know what kind of frame looks good on me. -Ok, then you know what to do next time! You can buy your prescription glasses online as well as your sun glasses. Plus, you can find really good deals, high quality eyeglasses and with a 100% money back guarantee. My husband has been using glasses since he was 12. He usually doesn't have a problem making decisions when shopping. But choosing a frame is the hardest part of shopping for him. We both love online shopping. Actually, it is more fun than it looks. It became kind a night time thing for us:) Neither of us are night owls! But sometimes we like to spend time together on internet. Especially for shopping! People with busy lives often don't have lunch hours to go shopping like my hubby, when they are home with their partners, shopping and deciding what to choose together might be really fun. If you use eyeglasses I suggest all of you to get your next glasses online . I think it's a great choice of shopping eyeglasses online. If you're comfortable making this decision at home, you should have no problem with online ordering. Great price, free shipping and %100 risk free! Those three important factors are why the internet often beats regular eyeglasses shopping. It's very easy to order. You select a frame you like, enter your prescription and you're done! Your new glasses will be sent promptly to you! Why would you spend time to go shopping if you have a busy schedule? Shopping prescription glasses online is less time spent. Plus you can do this anytime you want. Buy Online; Enter code Blog10, take10% off any order here now!! !